The special holder enables easy tool control and exact, right-angled positioning of the chamfer file on the guide rail. Also excellent for sharpening ski edges. Rectangular file in a special plastic holder, straight cut on two sides. 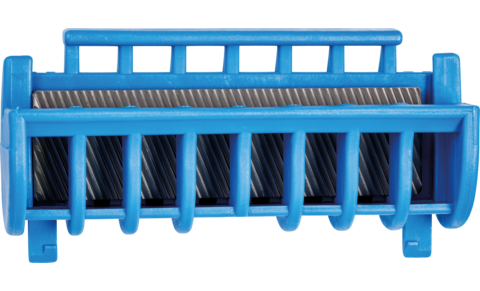 Ideal for easy and fast repair and for deburring on the guide rails of chain saws. Regular maintenance extends the service life of the guide rail and saw chain. Increases cutting precision and safety.